Greetings from Nashville, the land of back roads, beards, booze, and broken hearts. We’ve seen a bit of each these past few weeks. Our third studio album is produced by Jacquire King (who is just a hell of a guy, in addition to being an amazing producer). Today, we’re freshly back from a weekend motorcycle pilgrimage (vision quest?) to Graceland. Did you know Elvis kept white porcelain monkeys all around his house? We thought we were the only ones.. This is one of the most beautiful venues in the world. Hope you enjoy performing there. Congrats b/c only great bands get to play there. You’re recording here in Nashville – awesome! I saw you with the Louisville Orchestra a couple years ago, and keep hoping you’ll play here soon. Any chance we’ll get to see you play live in music city? I can’t tell you how excited I was to hear you were playing at Red Rocks with the Symphony Orchestra. My husband brought me to see you in Louisville with the Louisville Philharmonic. I’ve seen lots of concerts and to this day that one was my favorite. 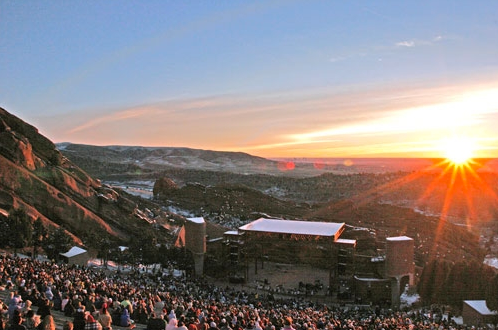 Also, my husband has never been to an ampitheatre for a concert I can’t wait for him to experience Red Rocks. I’ve been waiting for a long time to hear that you guys are finally doing Red Rocks. This will be my first concert at Red Rocks and 4th time seeing you guys. I can not wait! So excited! Just got tickets. Can’t wait to see this show. So excited for this. Usually can’t bring my 11 year old to see you because the shows are 18 and older. You couldn’t pick a more majestic place to have a concert. Can’t wait! We’ll be in the 6th row, with Jacob “the best fan ever with the devil horns.” Lol. Immediately bought 2 tickets for Red Rocks. Luckily Donna and I will be in row 1. Look for us guys. Can’t wait! IASGHADJGDHADFJKGHKJAGHSDHJKADGH This show will take place on my birthday!!!!! I guess the question is, am I crazy enough to make the journey from CT to see this show? I might be able to swing it, and I hope to God I can. This will be the most epic show in the history of all history! You guys should come play at the outdoor amphitheatre in Ivins Ut called Tuacahn. Like Colorado, it is beautiful and a great venue. UGH!!!! I’m leaving for college on 9/18! I’m a huge fan of you guys. I saw you play with the Colorado Symphony two years ago, and also went to the show at the Ogden and the Fillmore. I actually said “hi” to Daren as he ran across Colfax haha. I am crushed that I won’t be in town to see you at Red Rocks. PLEASE try and play there again! Just spent the evening with Airborne Toxic Event at Red Rocks on this beautiful eve…AWESOME show! You guys are a class act; so much talent and yet with so much humility. You make orchestral music ageless and appeal to such a broad audience; I hope you earn a place in music history for that! So now you know here on The Rocks we foxtrot madly! Watching you all perform tonight was like watching a firework show, nothing short of SPECTCULAR! Thank you. I really can spell, it’s the frickn Ipad that can’t! SPECTACULAR. Superb show last night! Thanks for a special evening of music. ATE and Devotchka… along with the CSO… it was magical. We also thought Airborne was the headliner. Drove in from the Springs got caught in the parking traffic. We didn’t get to our seats until 7:45ish and only heard about 5 songs or so. Talked to quite a few people who were also puzzled about them not being the headliner. What I saw was great though….moral of the story I guess is be on time!! !